Oahu, or The Gathering Place, is home to Hawaii's capital Honolulu and many other smaller, beautiful towns. Being the third largest of the Hawaiian Islands, it is also home to around one million people. However, aside from being a home to those people, Oahu is also a famous tourist attraction and that's not all. This island is very popular among people who love luxurious homes. Not only do they have great weather and days full of sunshine all year long, but you also have stunning nature everywhere they turn. 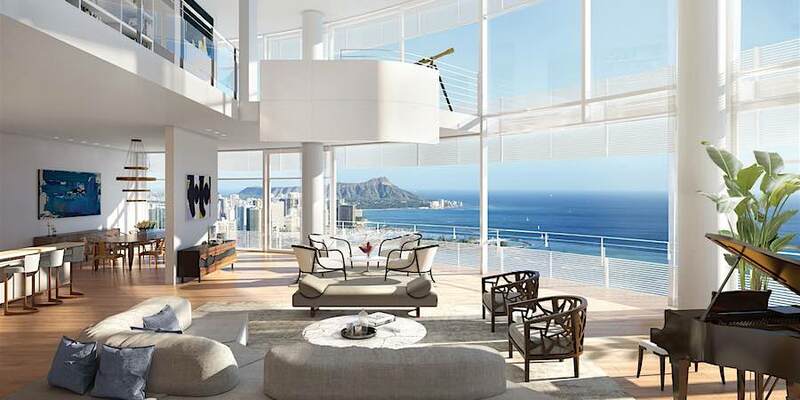 We are showing you here the top ten most expensive beachfront listings on Oahu in case you decide to purchase one for yourself. Why not, right? 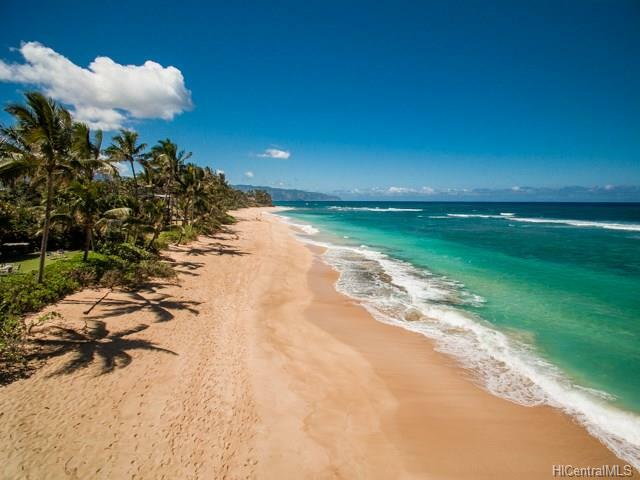 Why are beachfront listings on Oahu so expensive? Long story short, because they have everything you could ever ask for. The most expensive beachfront listings on Oahu are all unique in a way, but they also have a lot of similarities. First of all, an ocean view is a must, of course. Now, for example, if you are moving from Florida to another state like Hawaii, you are already used to having an ocean view almost everywhere. But, besides that, these expensive homes have numerous luxurious amenities, open floorplans, and beautiful, astonishing finishes. The truth is that any of these homes would be more than enough for anyone. No matter if it's only for a few weekends a year or daily. However, their differences set their prices, and that is why we have this list of the 10 most expensive beachfront listings on Oahu. 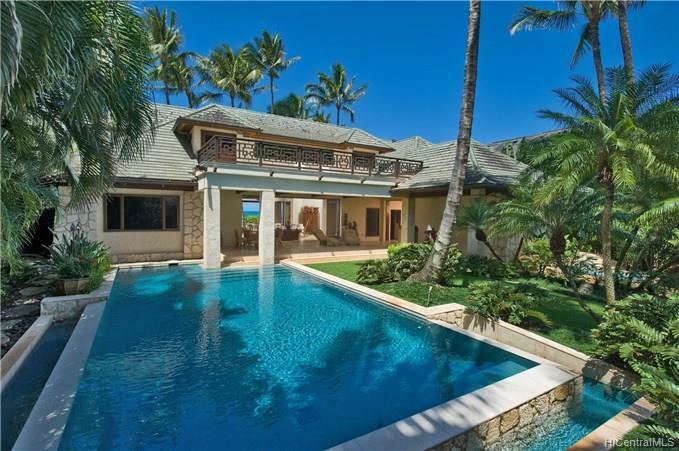 The most expensive home on Oahu is currently Kai Moena or House of the Resting Sea. If you have $28,500,000 to spare, you can purchase this astonishing 60,000 square-foot property. That means that you will no longer be using safe storage units to add space, like the ones you may have used in Florida, because you can fit everything here. The house is near Kailua Beach and it has two main residences. Between them, there are ten bedrooms, three half baths, and eight full bathrooms. Kai Moena has two fully equipped kitchens, where you or your chef can make fancy meals for all the people in the house. And let's face it - a lot of people can fit into this beautiful property. Other luxury amenities include a lagoon pool, fitness room and sauna, tennis court and media rooms. And let's not forget about the huge yard that is separated from the tropical hardwood floors only by a sliding door. The second most expensive beachfront listing on Oahu is also near Kailua Beach and its price tag is $26 million. This huge property of 7,851 square-feet was built in 2008 but it looks good as new. This beautiful home has seven bedrooms, two half baths, and five full ones. So, feel free to call your friends for a sleep-over, since it has enough room for everyone. You can spend your time inside, in front of the lava rock fireplace or outside, in a spacious yard. This beautiful, contemporary home of 4,829 square-feet was featured in Architectural Digest and Forbes Magazine. And it can be yours for only $22 million. It has four bedrooms and four and a half bathrooms and it’s only a few steps from the magnificent South Shore surf. If you don't feel like going out, you can enjoy the view of Diamond Head Beach from your balcony. And if you, however, decide to visit the beach, you will have your own private deeded beach access. And it's always nice to avoid crowds, right? 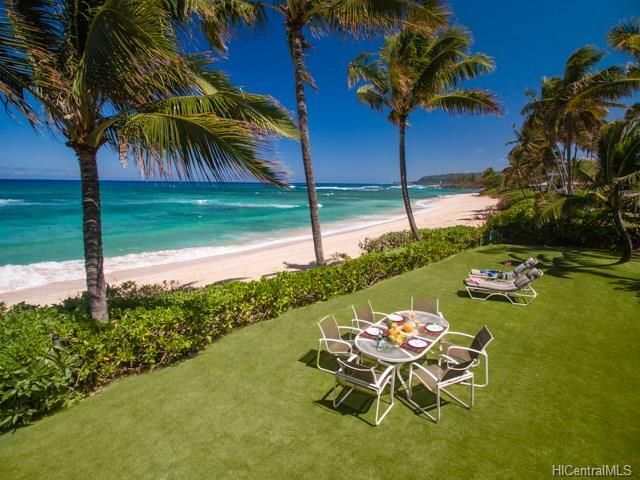 This is not only one of the most expensive beachfront listings on Oahu, but also one of the largest oceanfront homes. If you love wide-open spaces with 1,000 linear feet of beach frontage, this 1,393,900 square feet property can be yours for $20 million. This huge property actually has four different parcels, which can be enough for as many as eight homes. And if you ever get tired of walking around your home and yard, you can visit North Shore and enjoy diving and surfing, since it is within walking distance from your home. 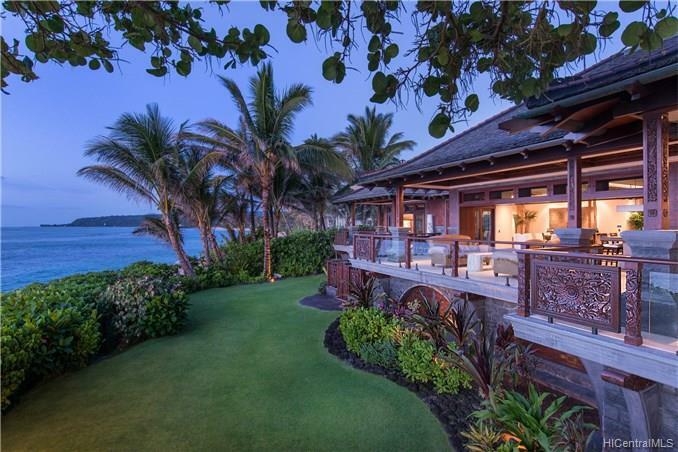 This dazzling house on the beach was originally built in 1941, but rebuilt in 2004 in classic Hawaiian style. It has three bedrooms and four and a half bathrooms that could be yours for $18.8 million. As you can see, compared to other most expensive beachfront listings on Oahu, it's not even that big. However, it is enriched with hardwood floors and board-and-batten siding. But the really nice touch are glass doors that slide to let you step on your 85 linear feet of beach. And that is the reason why, even though it's fabulous, no one even notices the indoors. This sophisticated and cozy modern home lies on the Niu Beach. Another exquisite example of a house that was built in 1989 but remodeled in 2015 to be inviting and welcoming. If you have $17,950,000 to spare, this seven-bedroom property can be yours. Even though it has three master suites, everyone will probably spend more time either on the 185 linear feet of beach frontage, or using some of the great amenities it offers. 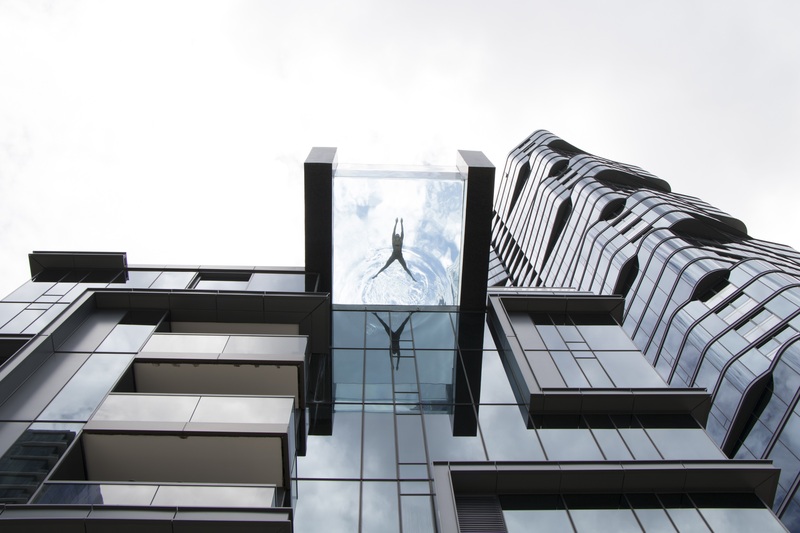 If you ever get tired of the fascinating landscape, you can jump into your Jacuzzi or pool. And if you're looking for a more active kind of entertainment, maybe you can organize a tennis tournament in your backyard with your friends. This is an enormous property of 60,000 square feet of ocean-view lot. It was built in 2010 on the slopes of Koko Head. All six bedrooms, seven baths and a tremendous outdoor pool can be yours for $17,750,000. You can enjoy the view from Maunalua Bay to Diamond Head if you are not in the mood for the indoor amenities. This gorgeous property with nine bedrooms and seven and a half bathrooms overlooks some of the most wonderful waters on Oahu. In 2017, they remodeled it and now it's a real show stopper. With a modern kitchen, remodeled baths with stunning glasswork and custom hand-carved wood finishes, no wonder it costs $16,9 million. You can also host all kinds of events outdoors with an astonishing 360-degree view, complimented with a spa and pool. This property features two houses and nearly an acre of land east of Wai'alae Golf Course. The first home is a single-level with five bedrooms and a pool. It has 118 linear feet of beach you can enjoy daily. The other one is actually a guest house and has four bedrooms, but it is also stunning. Both of them, with the 8,000 square feet of living area, can be yours for $15 million. On a quiet and private stretch of Kahala beach, you can find this marvelous resort-like property. With five bedrooms and five and a half bathrooms, it is listed for $15 million. 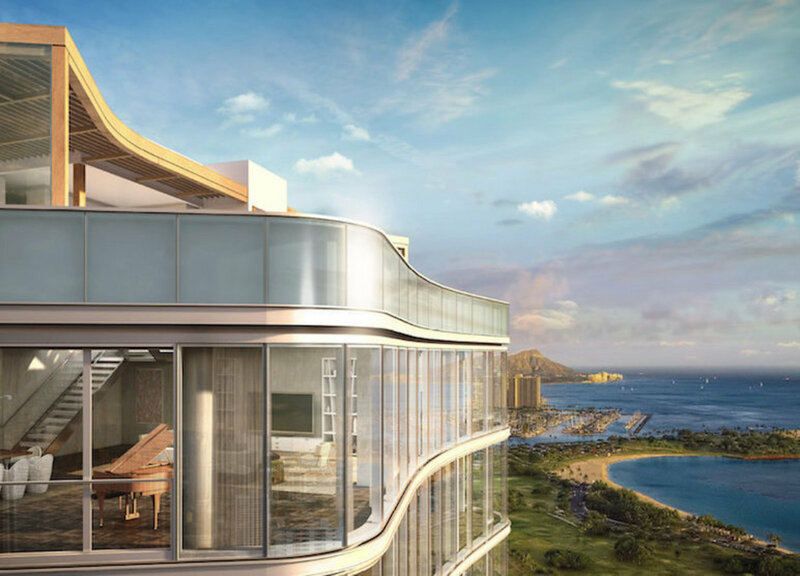 They designed it in contemporary Island style, so one of the most expensive beachfront listings on Oahu will make you feel like you are in your own private hotel. If you are not enjoying the beach or numerous amenities, you can stay in your master bedroom and relax with a magnificent view of the ocean and beyond to Koko Head. When looking for a new home in Hawaii, you’ll have a lot to take into account. The most important thing will be to find the home that suits all your preferences. Luckily, Hawaii Loa Ridge is known as “The Luxury Real Estate Ridge” in Honolulu, so you can be sure your dream home is probably there! Whether you’re in search for a vacant lot or luxury home in Hawaii Loa Ridge, keep reading to find out more about this amazing neighborhood in Honolulu and why to choose it for your new home. There are a lot of excellent options available when you’re looking to purchase real estate in Hawaii. However, if you’re looking for a luxury home, you’ll need to check out Hawaii Loa Ridge. As one of the premier neighborhoods in Honolulu, it provides every living luxury you might consider necessary for your new home. This is why Hawaii Loa Ridge is one of the most popular locations for buying that perfect home. The most prominent reason people choose to buy a home in Loa Ridge is the quality of the real estate itself! Almost all of the homes on this Honolulu Ridge are custom built and provide homeowners with an amazing living experience. However, not every home will suit your needs or preferences, and since they are all custom-built, finding the one which fits you best can be a challenge. So, to get the most out of your Hawaii house you should choose wisely, consider all options and, if needed, get an agency to help you find your dream home in Hawaii. Another thing which stands out with this beautiful Honolulu location is the view. Nothing spells peace and quiet like a terrace overlooking the ocean. And this is exactly what you’ll get when you purchase one of the luxury homes in Hawaii Loa Ridge. 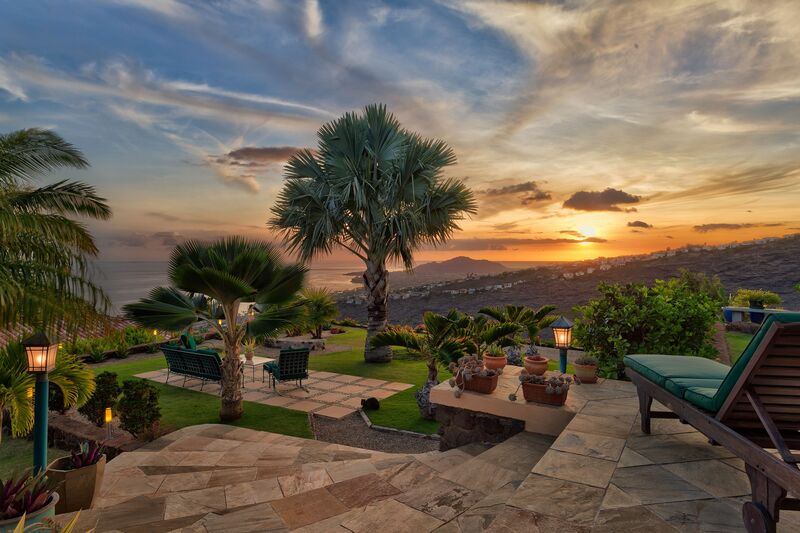 Embrace the beautiful island like never before and enjoy the tranquility of Loa Ridge. And when we’re talking about tranquility, there are a few places in the world that can measure up to Hawaii Loa Ridge! Even though Hawaii is generally easy-going, no city as big as Honolulu can be considered peaceful. An urban environment is fast-paced, hectic and, well, urban, and Hawaii is no exception. However, you can find your peace and quiet if you purchase one of the luxury homes in Hawaii Loa Ridge. This neighborhood is situated perfectly on a hillside overlooking the ocean behind private gates to ensure peace and quiet, which is why it is a great location to retire to! And, if you’ve been following the 2019 home trends you’ll realize that more and more people have been doing just that! If you’re looking for additional privacy and security, you should check luxury homes in Hawaii Loa Ridge in the area called the Pointe. General suitability of your home to your needs will depend on a lot of factors, and when you’re buying a luxury home, you’ll want to carefully evaluate them all before committing yourself. Since these homes aren’t exactly cheap, you don’t want to make a mistake and buy a home you don’t like. 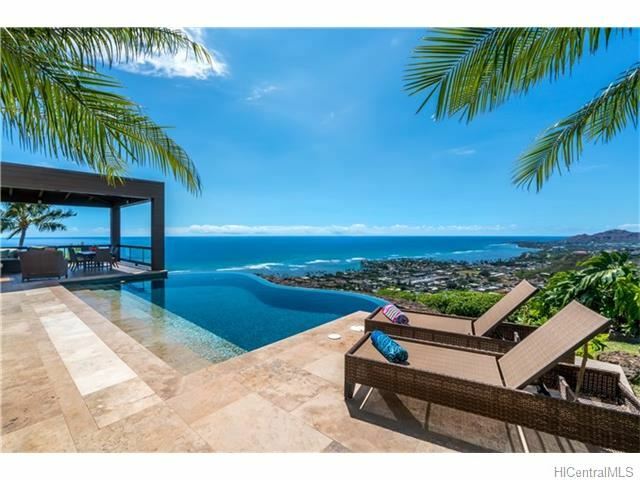 ●Location - your dream Hawaii home will need to be perfectly situated for your needs. ●Space - having enough room in your living space is crucial. So, only choose the luxury homes in Hawaii Loa Ridge that are spacious enough to accommodate you. ●Pricing - the prices of Loa Ridge homes vary a lot, and you’ll want to find the one you can afford. ●What’s on the lot - buy an already completed house or invest in an empty lot and build your own custom house! Finally, you’ll need to take care of a few things before you even get close to buying a luxury home in Hawaii. If you’re moving from somewhere else, this is especially important. The best luxury homes in Hawaii Loa Ridge won’t do you any good if you’re not able to get there! Making sure you get the best location for your home is crucial when you’re planning to move. There is a difference when relocating to Honolulu. Before moving to any location, you should already have a home ready as this will make it much easier for you to settle in. Of course, you could rent until you find that perfect luxury home in Hawaii and buy it. However, this isn’t the best option as far as moving is concerned as you’ll need to transport everything twice. Ocean views, custom made living spaces and tranquility. What more can a person ask for? Are you looking for a step up from your everyday life? Do you enjoy sunshine and white, sandy beaches? If so, then Hawaii is the perfect location for your retirement. Most Americans decide to relocate to Florida when they retire, but nothing can beat an island paradise that is Honolulu. 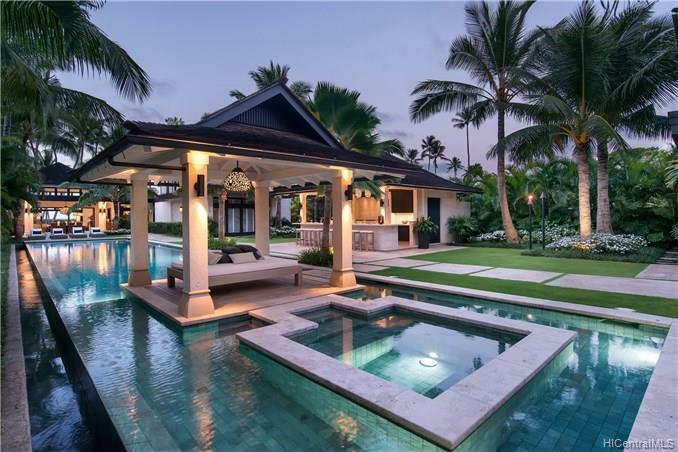 Additionally, if you’re currently living in the states, and you don’t want to retire there, you could settle for the best option out there - luxury homes in Hawaii Loa Ridge. However, before you go buying a home for your retirement, you’ll need information and preparation. So make sure you plan it well. Finally, when you’re ready to retire, you’ll need assistance. It’s better to get everything done properly so that you can enjoy your retirement as soon as you get there, and for that, you might need professional help. Before you buy your perfect home, make sure you contact your local realtors and ask for help. So, when looking for that dream living space, turn to luxury homes in Hawaii Loa Ridge, and you’ll surely find the best option for yourself! And whether you’re retiring here, buying a renting property or a vacation house, you’ll need to prepare and know what you want. Make sure you read up more about this topic before making the final decision and rely on a professional realtor to help you find the best possible solution for you. If your company is relocating you to Hawaii or you feel the need to relocate to a new place and choose Hawaii, were here to help. From time to time, we all have the urge to try out something new and fresh. Sometimes we have no choice or our company is moving us. So, if you’re about to choose a location for your move - why not Hawaii? Naturally, you’ll want to know the local real estate market conditions before deciding to buy some in Hawaii. If you want recommendations from a great realtor, we’re here to give you a few great tips. 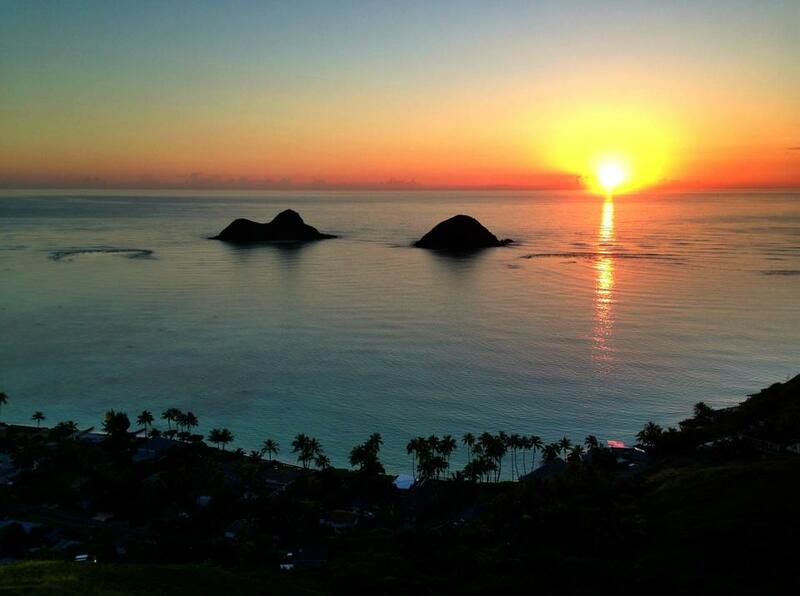 World renowned Lanikai Sunrise. To see it is breathtaking. The Moon rise is special too. 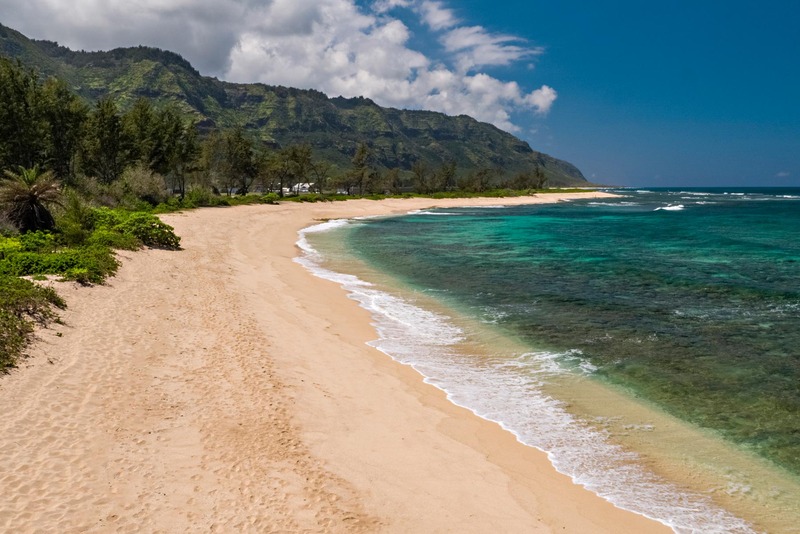 If you want to relocate to Hawaii from another state and buy a piece of Oahu oceanfront real estate, let’s agree - what you’re looking for is natural splendor and white sand beach. But these days, Hawaii is a tourist paradise, so finding an area almost untouched by man is not easy. However, that’s where the real estate around Lanikai Beach comes in! Although the beach is public property, there are no commercial facilities there. So, you’ll be able to enjoy nature as it was meant to be experienced. Trust us - after seeing the Moon rise above the Mokuluas from here, your life will never be the same again. Lanikai is for beach lovers and is ranked in the top ten beaches of the world by Conde Naste and others. Being born and raised in Lanikai and building my current home there, I can assure you this is a world class destination with world class views. Homes in the area range from $1.3mm-$4mm for interior homes and $3.5mm-$12mm for beachfront homes. 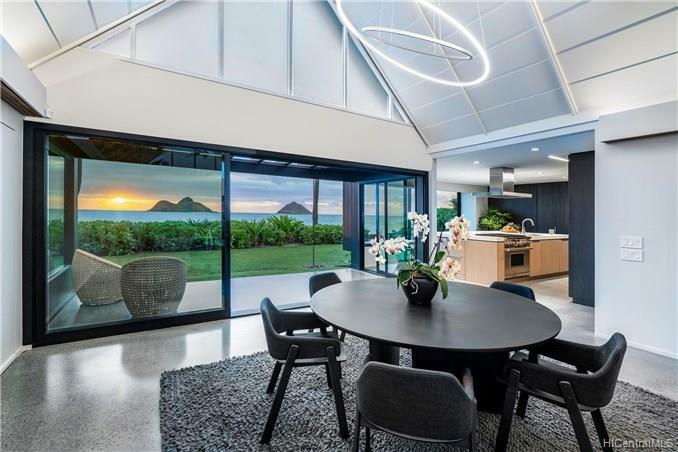 Kailua Oahu oceanfront real estate trends - sales of homes in Kailua have experienced quite a rise in the previous year, especially compared to single family homes off the beach. So, if you’re interested in buying a Kailua beachfront condo or home, knowing where to look on the Hawaii beachfront is important. 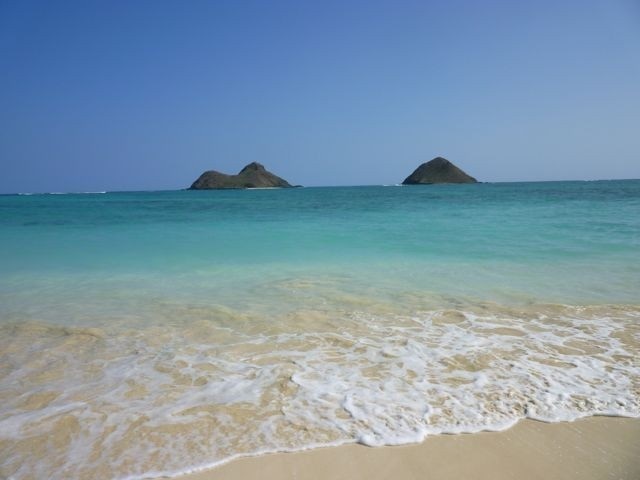 We definitely recommend considering the real estate on or near Kailua Beach! 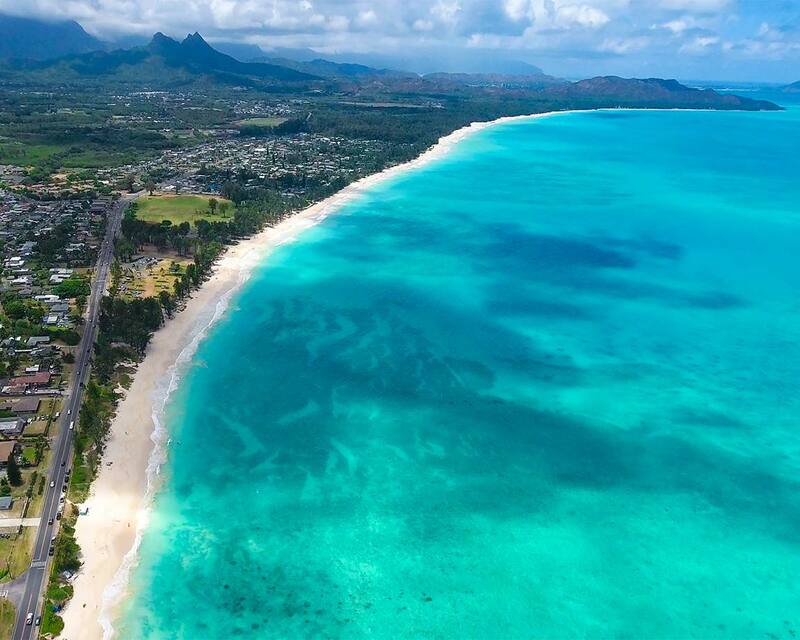 Kailua is very popular for beach goes and ocean sports enthusiasts. If water-based activities are important to you, but you’re still concerned about safety - this is the perfect spot for you! The wind is consistent and seas are generally calm in the area, so it’s perfect for some light kayaking, Kite Surfing, Wind Surfing or just walking along the beach. Homes in the area range from $1.3mm-$2mm for interior homes and $3.5mm-$12mm for beachfront homes. Kailua Beach is definitely one of the calmer areas in Oahu! A white sandy beach next to calm waters. Let’s face it, a real estate investment is a big investment of your hard earned money. So, before buying a property, getting a moving estimate online and relocating there - you should definitely do a lot of thinking. Primarily – decide what kind of area you’re looking for. If Hawaii is a great place for you, but you really mind all the tourists - we still have some great Oahu oceanfront real estate to recommend! 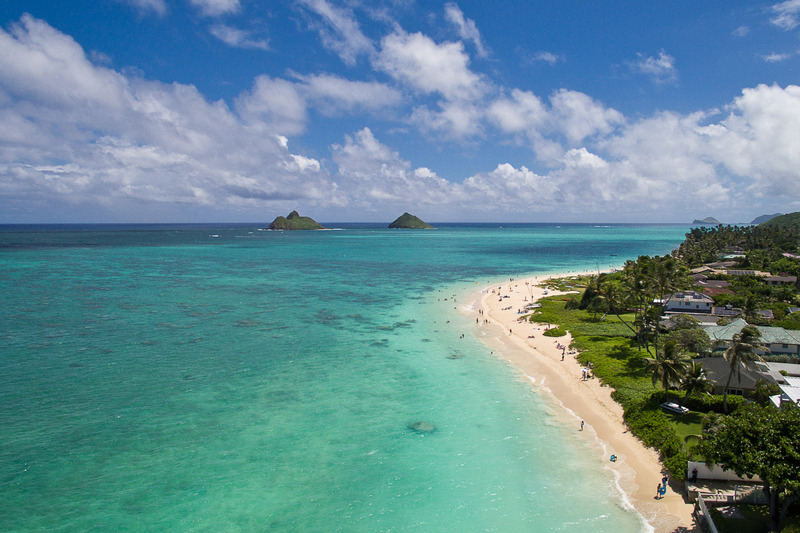 For example - Waimanalo Beach may be just the thing you’re looking for. Along it’s beautiful sandy shores, you’ll find no hotels or resorts. So, while an occasional tourist may still wind up there from other parts of Oahu - you’ll definitely have your peaceful life here. Imagine being able to take long walks along some sandy beaches next to crystal-clear waters, without any resorts or noise disturbing your tranquility. This area is considered very popular by local residents and has an old Hawaii feeling to it. Homes in the area range from $800k-$1.5mm for interior homes and $3.5mm-$5mm for beachfront homes. 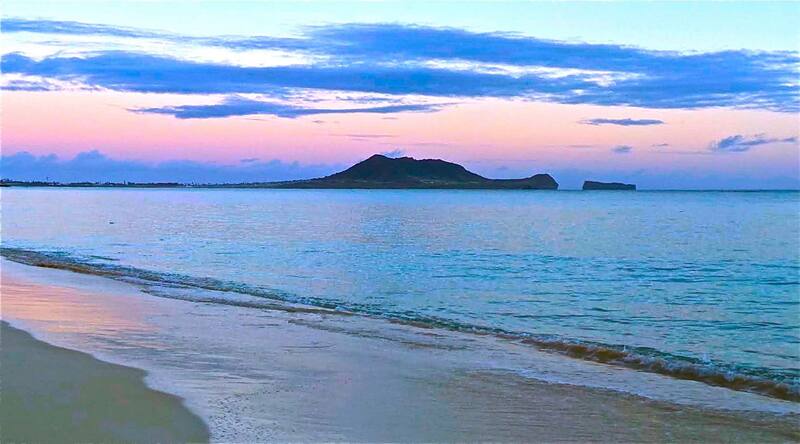 Moving to Waimanalo Beach will provide a very peaceful life! Miles of amazing beachfront to walk on and enjoy. Many people come to Hawaii to relax, enjoy the sun, and the beautiful clear skies. But as we’ve already partly mentioned, for some, this state is great because of the many different activities you can partake in. For example - if you’re an avid surfer, then Diamond Head Beach might be your best choice among Oahu oceanfront real estate! Diamond Head is a place that’s best suited for those who want a luxury lifestyle and want to get away from some of the more crowded beaches on Oahu. The surfing waves are great for all levelst. Some of Hawaii's most expensive and luxurious homes are here on the beach and are seldome available for sale but can sometimes be purchased. It is also a very private beach on weekdays and there is a great hike to the summit of Diamond Head cliff with a wonderful view. I highly recommend Diamond Head for those looking to be close to Waikiki but far enough away to enjoy a great beach and a luxury lifestyle. Homes in the area range from $2mm-$6mm for interior homes and $6mm-$20mm for beachfront homes. Moving to Hawaii is easy and simple if you have the right connections and partners. 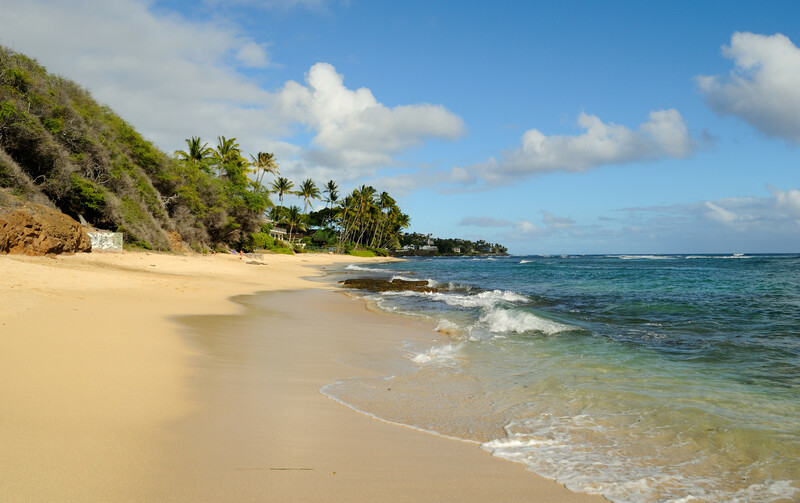 Certainly, buying real estate in Honolulu might mean a more exciting life, but if you want a more private area for a family home - Kahala Beach may be just the ticket. We can show you the best areas in Kahala to fit your budget and make sure your investment is a wise decision. Kahala has always been condidered a luxury area to live in and has some of the most expensive real estate on Oahu. With level streets and multiple parks its great for families. Kahala is also close to Kahala Mall and other shopping destinations. Only 15 minutes to Honolulu and 5 minutes to Waikiki. Kahala is a great place to live. 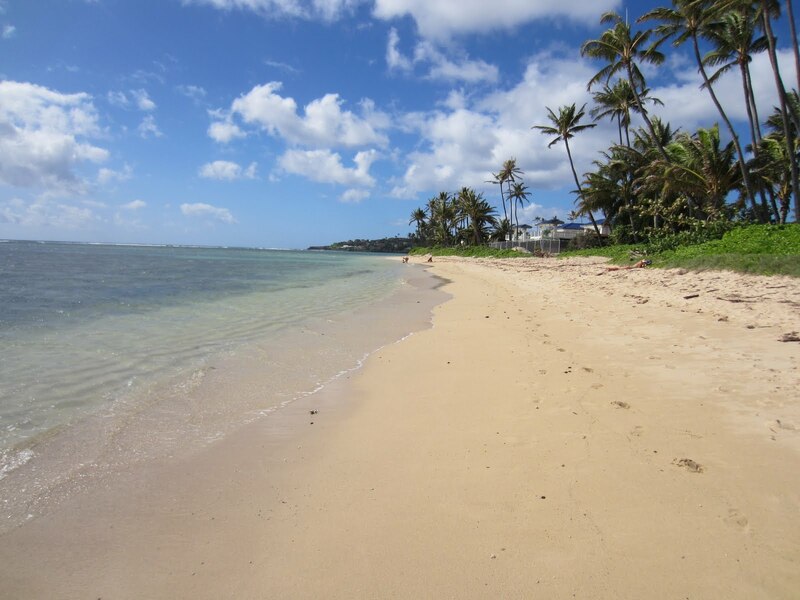 Buying Oahu luxury or oceanfront real estate in Kahala means that there won’t be many tourists nearby, and you’ll basically get a beach all for yourself on those special weekday morning walks. Homes in the area range from $2mm-$6mm for interior homes and $5mm-$20mm for beachfront homes. Kahala Beach is very private and attracts the mega wealthy of Hawaii. If you’ve got the chance to buy a home in a wonderful natural place with amazing natural sights - why not make it happen? Did you know about all of the wonders of the North Shore and Laniakea Beach? For one, you can find some very nice Luxury Homes here on Papailoa Road, especially in comparison with some other Oahu areas. But that’s not all - you can also enjoy all the natural splendor Hawaii has. If you’re relocating to this area, you’ll be able to spot amazing green sea turtles that populate this area. You can even come close enough to have a good look and snap some cool photos! But this is a beach like no other. You can walk for 3 miles on white sand and you may or may not see a single person on the whole walk. You can walk to Haleiwa town for a cup of coffee or just enjoy sitting and watching the seal life. The most recent sales are $12mm, $7.8mm, $3.2mm and $3mm for beachfront homes in the last 12 months. Laniakea is amazing and a one of the kind experience. Let us show you the north shore you dreamed about, click here: North Shore Luxury Beachfront. Homes in the area range from $1.3mm-$2mm for interior homes and $3.5mm-$12mm for beachfront homes. 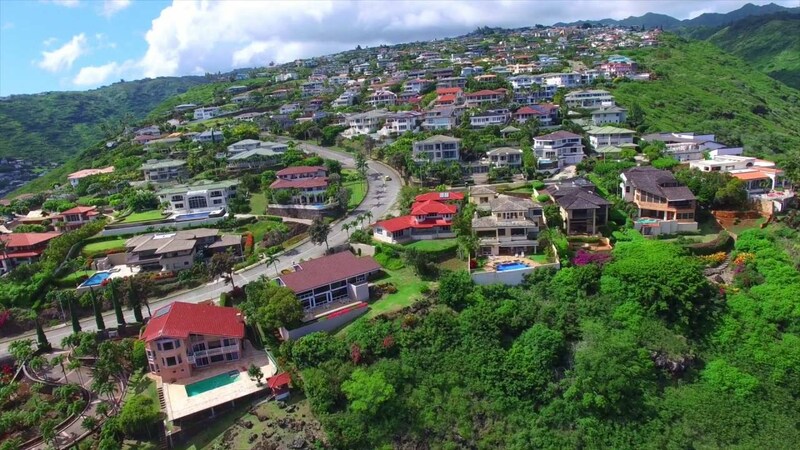 There was a sale in May in Kailua on the beachfront for $18,800,000 at 72 South Kalaheo Ave. for a 36,000 sq.ft lot with 7 bedrooms and 8 baths in a 10,000 sq.ft. home. It was an amazing home with celebrity guests and spectacular location on the beach. See picture below. 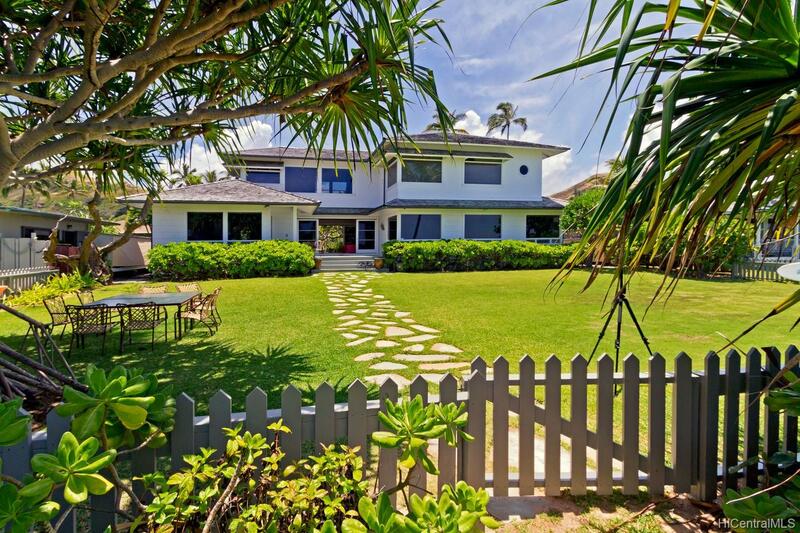 Two more beachfront homes sold in Kailua for $15,000,000 plus each. Both were direct beachfront and located on large pieces of land in Kailua. See picture below. 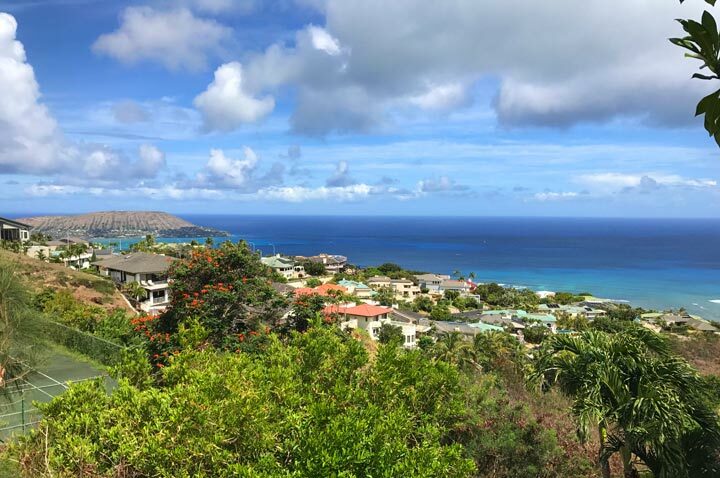 Recently two homes sold in Lanikai for over $10,000,000 and $12,000,000 dollars. Both were older homes with amazing views of the Mokulua islands, the ocean and sit right on the beach. One of the homes was owned by a prominent attorney and past president of the bar association of Oahu. See pictures below. There was also a sale in Haleiwa on the beachfront on the North Shore for $12,000,000 which set the record for highest sale ever in Haleiwa. 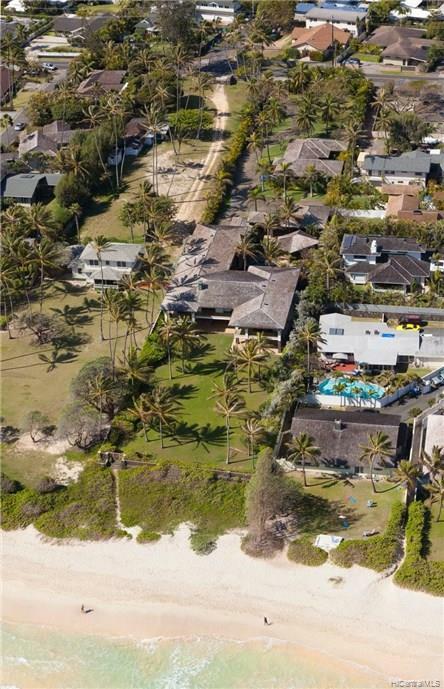 Another beachfront two doors down sold for $7,800,000 and was purchased by 11 time World Champion Surfer Kelly Slater. Both homes were located on Papailoa Road. See pictures below. We recently sold a wonderful Beachfront Home at Laniakea Beach in Haleiwa Hawaii with 5 bedrooms, 4 bath for $3,300,000. The home was a custom built plantation style home with two seperate cottages and a moan home. The home was located in Kawailoa with over 3 miles of white sand beach to walk on. See picture below. If your looking for a beachfront Home in Hawaii, please contact us at 808-295-0704 or here on our web site www.HawaiianBeachfront.com. We will listen to what you really want, your desires, dreams and your budget. Then guide you to the best oceanfront, beachfront or luxury home value in the islands. With 20 full time years selling property on Oahu and over 120 years of family knowledge, we can help your dreams come true. Hawaii islands are one of the most beautiful places in the world, with their cliffs, waterfalls, tropical foliage and beaches covered in gold, red, black and even green sand. And Honolulu is a great melting pot in the center of it all. Its rich culture, traditions, diverse groups of people, and foods from many different ethnicities make it unique. Interestingly, all these people representing different cultures and beliefs live and work side by side in perfect harmony. That makes Honolulu so special. The cost of living in Honolulu is very high. Its residents work hard but they play hard, too. They can enjoy a variety of activities this place has to offer. Hiking, kayaking, surfing, running, tennis, cultural fairs and festivities, along with beach time and parties don’t leave time for boredom. In the past, Kaka'ako was the port for foreign ships that came to Honolulu for trade and supplies. Even back in 1950, this area was a busy district full of life. A great transformation started to take place once the authorities allowed more commercial activity. Honolulu was attracting more and more businesses that took the place of homes. Finally, it all changed once again as the first Kakaako condos started developing, soon to be joined by many more. Being the future of this neighborhood, in many ways, they bring back its past, when this was a truly wonderful home to so many people. 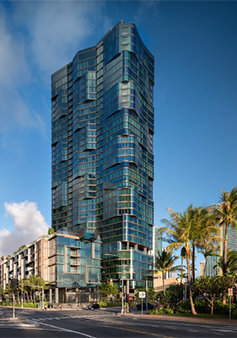 Once a port, Kakaako is today a unique community that includes luxury oceanfront condominiums with a modern design. It is surrounded by high end restaurants and exclusive shopping centers. Conveniently located between Downtown Honolulu and Ala Moana Shopping Center, this neighborhood represents the future of Hawaii. Probably the first name that comes to your mind when thinking about Honolulu is Kakaako. Ironically, Kakaako means “slow” in Hawaiian. This area was mainly industrial when it began to transform and turn into a dynamic, vibrant and hip neighborhood. Nowadays, it offers the best urban outdoors, luxury living and it is bridging Downtown and Ala Moana. 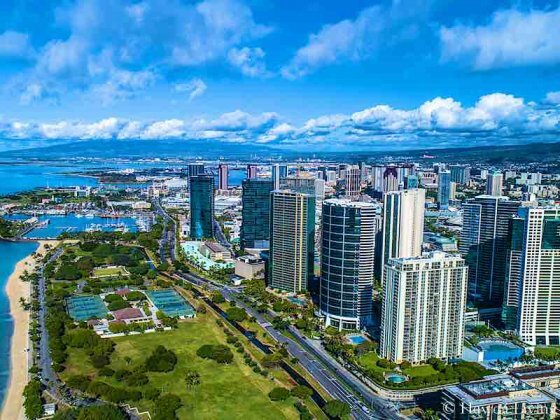 Ala Moana to the east, Downtown Honolulu to the west, and the ocean to the south surround this convenient location with shopping, beach and business amenities. Also, there are amazing development plans in Waikiki, though on a bit smaller scale. And the creation of Kakaako luxury neighborhood is primarily the work of two major entities - Kamehameha Schools and the Howard Hughes Corporation. 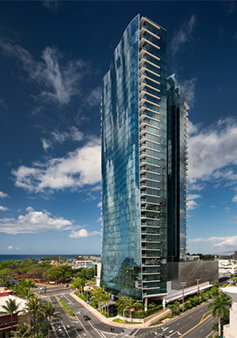 Many new Kakaako condos were planned in recent years and some of them are already completed or under construction. Once all towers are finished, this area will include more than 5,000 new condos. The plans also include improved sidewalks, beautiful parks, and some retail shops. All of this is going to make Kakaako a super cozy community where one hardly needs a car. Kakaako residents are currently living mostly in scattered high-rise condos in a district of urban Honolulu. Major business centers, shopping malls, entertainment and recreation facilities are all close by. Expected growth and development could double the current population by year 2030. Hawaii Community Development Authority (HCDA) has a vision to transform 600 acres of the Kakaako area into a modern community with a proposed rail transit. That includes new retail shops, recreational parks, restaurants, office space, grocery stores and a redesigned Neal Blaisdell Center. Also called The 3rd City, Kakaako is going to become a walkable and bikeable neighborhood for work, shopping and recreation with pleasant, wide streetscapes that function as outdoor living rooms. The old industrial lots and warehouses are giving way to a new Kakaako lifestyle in the renewed urban core of Honolulu. A good collaboration of the government and private sector has managed to create an economically sustainable, environmentally friendly and viable neighborhood. Kakaako’s vision promotes a fusion of art, culture, modern transportation and a new metropolitan way of life. People will have an opportunity to enjoy a diversity of luxury condos that follow all the 2019 home trends . Kakaako Waterfront Park, Ala Moana Beach Park, and Kewalo Basin Park offer amazing recreational opportunities for swimmers, joggers, surfers, fishermen and all outdoor enthusiasts. The Kakaako condominiums are the ultimate opportunity to live, work and have fun, all in one beautiful place. Its residents will certainly enjoy wide pedestrian paths and boulevards all over the district. You could take a nice walk at the end of the workday or go to an enticing new restaurant nearby. Beside shopping, there are plenty of senior centers, recreation areas and playgrounds. People of all ages can find a place for themselves in Kakaako that feels like home. Beside this smart and modern development, there are the best of nature's treasures as well. A soft, cozy beach, the infinite blue ocean, and wide green parks are all within your reach here. Kakaako residents don’t have to start their car every time they need to just go out for a while. Kakaako’s new community is based on easy access to every aspect of life. All of this probably sounds dreamy to you? Well, guess what, sometimes dreams can come true. More and more people nowadays decide to move to these paradise islands and start a new laidback chapter of their life. Would you like to be one of them? It won’t be very cheap and you will probably need some assistance when moving overseas, but it will most certainly be worth it. One thing we know for sure - bonds love uncertainty and bad news. This Retail Sales report brought both and as a result, pushed prices and home loan rates near the best levels in a year. This week, housing data dominates the headlines as the sector looks to rebound after ending 2018 on a low note. Freddie Mac said last week that while housing activity has clearly softened over the last nine months and the lingering effects of higher rates from last year are still being felt, the recent decline in home loan rates coupled with a strong job market should rekindle demand as we enter the spring homebuying season. The minutes from the January Fed meeting will also be released and while it is generally accepted that the Fed will be on hold for interest rates, the investing community will closely scrutinize the minutes for any signals on the Fed's balance sheet reduction. All U.S. markets are closed on Monday in observance of Presidents Day. • NAHB Housing Market Index will be released on Tuesday followed by Housing Starts and Building Permits on Wednesday and Existing Home Sales on Thursday. • The Philadelphia Fed Index will be delivered on Thursday along with Weekly Initial Jobless Claims and Durable Orders. Having beachfront real estate is what most people dream of. Just imagine enjoying a breathtaking view of the sunset and watching green sea turtles and whales breaching in the distance from your patio while listening to the relaxing sound of waves. Who could wish for more? Now that you own this wonderful oceanfront home, its time to keep your property in top shape and provide it with high-quality maintenance so it holds it's value and builds equity for years to come. So how do I take care of my beachfront real estate? Luckily, we can provide the answer. If you love the beach, abundant sunshine and the ocean, relocating to Hawaii might be a good idea. Should you find a beachfront house and turn it into your permanent home, you are one of the very fortunate. Now, it is necessary to take steps to protect your property well and prevent any future issues. Insure your home properly even if it includes different policies or even different insurance providers. Good care for your beachfront real estate includes protection from hurricanes, tidal waves, burglaries, natural disasters, and fire. Explore your options and choose the protection accordingly. Unsurprisingly, this is an ever-present issue on the beachfront. Consequently, it is of utter importance to find an adequate solution. However, prior to taking any steps, consulting the local government authority or a licensed engineer on this is necessary. There, you will get detailed information on what you can or cannot do concerning this problem. Meanwhile, planting some plants like the native Nau Paka bush and or and vine flowers that cling tightly to the soil is advisable and beneficial on various levels. Firstly, they slow the erosion significantly. Secondly, they decorate your space and make it more lively and pleasant. Finally, by slowing the erosion, they enable you to save both your home and property value. In more extreme cases a wall or abatement may be necessary. Contact a professional for this. The vicinity of the ocean and the salty coastal air can harm and affect both the exterior and the interior of your home. The attractive exterior of your beach home can be damaged and unsightly once patches of rust appear on your metal doors or window frames. Also the wood can become salt damaged and look fuzzy and soft. The vicinity of the ocean combined with periods of heavy rains, winds and high humidity often results in the appearance of mold and mildew around your home. It is important to keep up your paint and or stain to protect the wood on a beach front home. Use as little metal as possible to avoid rust issues and tarnishing. Wood and vinyl are the best to use on oceanfront homes. How to improve your beachfront real estate? When it comes to home improvement, you need something durable and resistant to the harsh conditions your beachfront real estate is exposed to throughout the year. Thus, when involved in home improvement projects, avoid using metal. Although metal looks nice and attractive, it will soon oxidize due to the salt in the ocean air. Instead, use alternatives like fiberglass, vinyl, aluminum or high quality stainless steel. Not only do they look great, but they are also good materials, so your beachfront real estate will stay beautiful and intact for years to come. How to solve the problem of humidity? · Use anti-fungal cleaners on a regular basis. Not only do they make your home attractive again, but they also prevent the further appearance of mold and mildew. · Use dehumidifiers. They significantly decrease the humidity level in your home. · Ventilate the house regularly. When you have the proper solution at your disposal, buying a Hawaii beachfront home wont be a burden on your lifestyle. Explore the real estate market and, hopefully, you will find what works for you. Ralph Gray at www.HawaiianBeachfront.com is here to help. It is very important to be diligent about the maintenance of your beachfront real estate. This way you keep its it looking good and in good condition. Pay attention to both the interior and the exterior of your home and be thorough when cleaning. Understandably, the exterior will require much more of your time since it is frequently exposed to the elements. Salty particles are the biggest threat to your exterior surfaces since they tend to accumulate and then damage these surfaces. Rinse them with fresh water on a quarterly basis at minimum. When own a home with a beautiful view of the ocean and waves, the patio is where you tend to spend most of your time. Unsurprisingly, you want this part of your beachfront property to be relaxing, attractive and healing to both your mind and your eyes. To achieve this, maintain your patio furniture properly and protect it from salty air and never-ending moisture. It would be a good idea to cover it when not in use. Then, you should clean it with fresh water and mild soap regularly. If you want the advanced level of protection for these furniture items, use an appropriate polishing compound every few months. It is best to provide professional maintenance once a year. Hiring a professional in this field will result in obtaining accurate information on the overall condition of your property. Furthermore, you will get suggestions related to necessary improvements. Finally, a professional should confirm that your property is completely protected and functional. Then, if you ever decide to sell with your oceanfront property or you just simply become curious about what your home is worth, you will realize that proper care for your beachfront real estate is worth every penny and the time invested to maintain the home. Prior to the orgin of Hawaii's land system in the 1840's, the kings were the sovereign owners of all the islands. 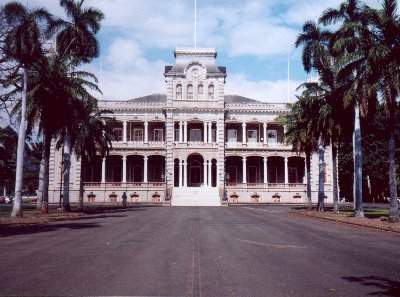 The picture above is of Iolani Palace, the only Royal Palace in America. The original unit of land, the "ahupuaa," usually extended from the shore to the mountain top, with rights in the adjoining sea waters, providing occupants with the means of supplying all their wants. The sea for fish, the inland for coconuts, the valley for taro, the lower slopes for sweet potatoes, yams, etc. and the mountains for wood and hunting. The next subdivision of land was called the "ili" and could be either subservient to the "ahupuaa" or independent. Within these were small areas called "kuleanas," which were houselots occupied by the common people, who also had certain native rights of fishery, water, and mountain products. These lands were often redistributed by a conqueror or a successor king. In 1845 a major step to reform this system occured when a Land Commission was created by King Kamehameha III. The most important reform was the Great Mahele, or division of lands, which took place in 1848 and became the basis for modern land titles in the Islands. Old tenures were eventually changed to the allodial system of absolute ownership, and the interests of the government, crown, chiefs and common people were severed. As new claims were adjudicated by a board to determine ownership rights, Hawaii's ancient landholding system was gradually replaced. For this reason, a chain of title to Hawaiian land need only be traced back to the 1840's to the original grant or patent. Today Hawaii consists of 124 islands situated in the Pacific Ocean. Of these, the eight major comprise a land area of approximately 6,470 square miles broken down as follows: Hawaii, 4,035 sq. mi. ; Maui, 734 sq. mi. ; Oahu, 617 sq. mi. ; Kauai, 558 sq. mi. ; Molokai, 263 sq. mi. ; Lanai, 141 sq. mi. ; Niihau, 71 sq. mi. ; and Kahoolawe, 45 sq. mi. It is interesting to note that of this land, the State, County and Federal governments are the largest landowners, controlling approximately 39% of the total area. An additional 24% is owned by less than 6 individuals, corporations and trusts, many of which are descended from early missionaries and traders. As can be readily seen, this leaves approximately 37% for all other private individual landowners. 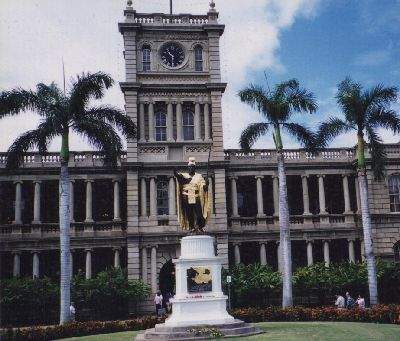 The picture to the left is of the Legislature Building, and Kamehameha statue. Originaly built as the King's Royal Palace by my great great grand father Robert Lishman, but taken over by the legislature. The island of Oahu is comprised of 386,188 acres, of which there are 92,583 acres estimated to be in urban districts, 154,882 in conservation, and 138,723 for agricultural use. The island contains the City and County of Honolulu, the smallest of the four counties in size, but the one which has nearly 3/4 of the State's population (836,207) and serves as the seat of the State government. Oahu is also home to the 40,000-student flagship University of Hawaii system and the state's banking and financial headquarters. We like to extend a special thanks to Mr. John Reilly, Attorney with Pitluck Kido Sato & Stone and Trade Publishing Company, Ltd. for most of the above information. In Hawai'i we have a much larger percentage of residential lands held in lease than most other areas. When you buy a leasehold home, you're buying the right to use the home (or improvements) for a fixed time period, but not the land on which the house sits. An annual lease fee, usually fixed for a long term, is paid to a landowner. Leasehold homes are significantly cheaper to purchase than homes (or improvements) made on fee-simple land, but beware, leases have much uncertainty attached to them. Many leasehold properties are 20 to 30 years old now and up for renegotiation from their original terms and the cost today can be high based on current market values. Fee-simple homes also include the land on which it sits, cost more, but does provide greater security and resale value.